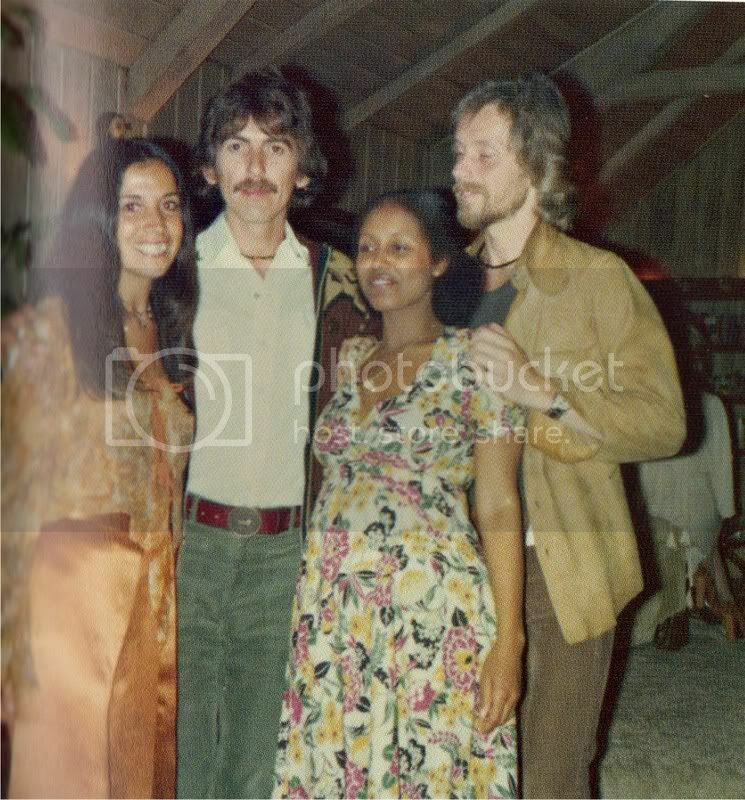 On April 21st, 1975, George went back in to the studio to begin work on a follow-up LP to Dark Horse. Working at A&M Studios in Los Angeles, he spent the next three weeks working with studio musicians from the group Attitudes (who would soon record a single for the Dark Horse label), taping backing tracks for what would become Extra Texture (Read All About It). During a weekend break in the sessions (most likely April 26th or 27th), George was interviewed by DJ Dave Herman for the syndicated DIR radio special A Conversation With George Harrison. The program, aired in two parts during May, went all the way back to George's childhood, and touched on Slim Whitman, Lonnie Donegan, and grammar school. Pete Ham of Badfinger had committed suicide on the 24th, and George lamented the loss, tying it in with the general air of negativity which led Rolling Stone to eviscerate his recent tour. In discussing the Dark Horse label and where the ex-Beatles might end up when their EMI contract expires in January 1976, Herman brings up Ringo's new vanity label, Ring O'Records. Ringo had officially launched the label with a press conference on April 4th, and its first release was David Hentschel's Sta*rtling Music. PS - Thanks to mg for pointing out Black Cat's upgraded version of John Lennon's Rock 'N' Roll conference call, which can be found here. What a picture of Klaus!!!!! Klaus....the FIRST Beatle fan!!!! Can you imagine being HIM? O the things Klaus has seen! And heard! (ooo lah lah, always loved that Carly Simon album cover, the back cover too!) (I wonder if James Taylor was the connection between the fabs and Carly).